Know your timeline. When do you need your display? Trade show marketing experts will want the need date for your display…often exhibit houses can turn around a custom trade show booth quickly, however you may need to consider a pop up or rental display if your timeline is too tight. Know your budget. Trade show display items can range in budget from under $500 to over $500,000! Contacting your display company without a budget in mind is like shopping for a home without knowing how much you have to spend. Your representative will want to take you through the right area. Don’t waste your time or theirs looking in the wrong neighborhood! Know your place. Where will you be using your display? Are you going to small trade fairs where only table top displays are allowed? Or are you exhibiting in a national show? Your representative and trade show display designer will need to know the size of booth you traditionally use and whether adaptable sizing is required. Know your frequency. How often will you be using your display? If you are using your booth only once every year or less, you may want to consider rental displays. 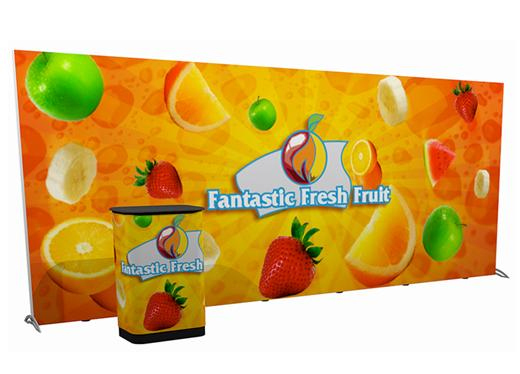 Trade show display rentals are available in all sizes for a fraction of the purchase cost. Know your storage. What type of storage space do you have available for your display? Remember, trade show displays should be stored with care, avoiding temperature extremes. A garage or car trunk is not a suitable storage facility! A full service trade show marketing company should offer storage services. Know your shipping needs. Where will your shows be? Will you need to ship your exhibit? Shipping can be a costly part of exhibiting. Some options weigh less than others, be sure to let your designer know if shipping costs are a concern to you. Shipping is also an important factor when selecting your trade show cases. For example, do you need airline checkable options or will freight work for you? Know your message. What message are you trying to project? Your graphic designer will be able to help you determine your best graphic approach, but offer them some idea of how you envision the final project. Know your environment. What are your company’s environmental policies? 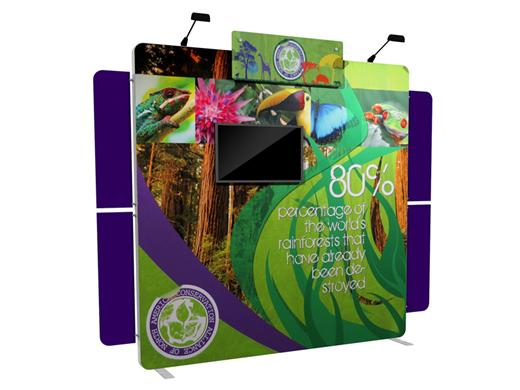 Do you have environmental initiatives that your trade show exhibit house needs to know about? The event industry is changing. There are many eco-friendly display options. Be sure to let your representative know if you are interested in “green” displays. Know your trade show company. Select a trade show display company that gets you the attention you deserve. Do they offer in-house design and graphic production? What services do they offer? Can they accommodate your storage and shipping needs? Trade show experts can handle your project from concept to completion, including show management. Ask for references. Contact an EXHIB-IT! Trade Show Marketing Professional today to set up a free consultation or to request a quote.